Remember the dread and horror? The sinking feeling in your gut as you walked out to the front of the class to collect your envelope from your primary five school teacher? Knowing that the last spelling test was not as good as it could have been and wondering what the consequences would be when you got home of the "could do better" report card? Now we extol the virtues of email marketing - we use ConstantContact for everything from newsletters to event sales and of course now for Customer Feedback - and as we always say to our clients you have to accept the rough with the smooth and build from it. Yeah right but that doesn't stop the eleven year old you taking over does it! The first time I saw the agenda I thought wonderful; 3pm; item nine (and last) on a five hour workshop agenda. Could be tricky. Following a speaker on a similar subject to mine who is well known locally. Bit of a challenge. Stick with the PowerPoint and play it safe. Or do something different. Well the results are out! Something different was the choice the only thing was the something different was just well different! Or "disjointed", "haphazard" "too pacy". Not quite "West of Scotland Presenter Nil Points" but proof that PowerPoint has a role to play and that online presentations with someone else's laptop should not be attempted no matter how different you think you can be! So in the spirit of redemption here's Plan B. The PowerPoint that was prepared for the day but ditched the evening before - even better than it would have been because it doesn't include a 200 mph commentary over the top and remains on a straight line with no deviation from subject anywhere! The day was extremely interesting all the way through and whether by accident or by design moved progressively through the concept of partnership and collaboration and profitable joint working from the traditional tour operator distribution channels to social media and online selling. The presentation would have worked in that context and therefore I thought it was worth publishing in full for the audience as it may trigger some thoughts and collate some of the points from the day turning them into action points for the future. The PowerPoint looks at the issues of multiple distribution, addresses the issues of scale and tries to highlight just some of the areas hospitality and tourism businesses must address. Sure as was discussed on the day, you can't do everything but you can look at the big picture and ultimately decide what is best for your business and quite brutally at this time in the economic cycle it must surely be built on ROI - Return on Investment of both time and money. As a previous article we wrote a long time ago states ROI is King. You can run the PowerPoint as a slide show or download a PDF version of it to print out. You can also link directly to the presentation directly. The following articles or PDF Briefings have been designed to assist tourism operators get a better understanding of what they CAN do... your feedback would be appreciated. Scotland's For Me is a pan Scotland free to use "tourism portal" currently undergoing a full overhaul for a scheduled September relaunch. However even in the midst of upgrading it can give your tourism business another free distribution channel to promote your business through. If you write up and send us your news, offers, events we'll publish them for you as quickly as possible across our blogs and Facebook page. 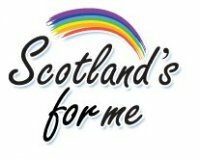 You can also have a free entry on the Scotland's For Me website when relaunched. Contact us if you wish more information on your own page.